Like it or not, Venom is in theaters this weekend. Fans have had mixed reactions to everything from the PG-13 rating to the footage they’ve seen since the first trailer arrived. Early reactions are starting to show up on Twitter as the movie held its premiere in Los Angeles last night, and well, they are as mixed as you’d think they would be. It does seem like everyone is excited by the Venom post-credit scene, though. 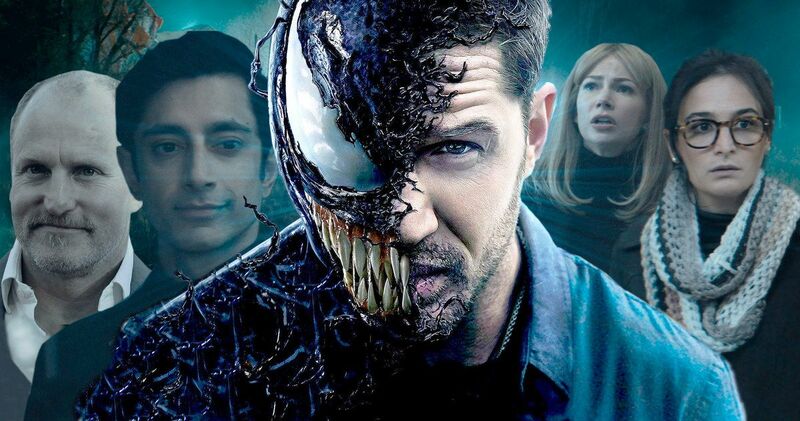 Action-sequences and Eddie and Venom‘s odd relationship are the highlights of #Venom but if Sony wants to move forward with a universe, it needs to just keep the few parts that work and scrap the large portion which does t.
Social embargo for #Venom is up. I talk about this a lot in my review but this is a movie that somehow slipped through a wormhole from 2004. That’s my biggest take. It’s a movie that spilled from the pre-MCU era through a crack in time and space.